Isfahan (Sepahan), the capital of Isfahan province, with the area of 250 square kilometers is situated in the heart of a plateau in Iran. 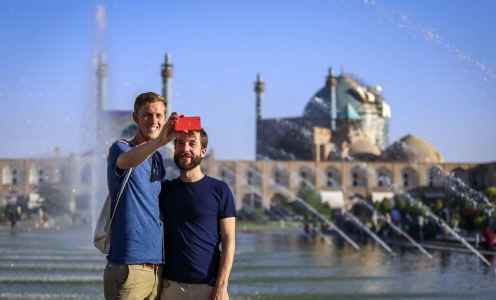 Isfahan's climate is semi-arid and mild and the average temperature in this city is about 16C and the average annual rainfall is about 13 ml. Generally Isfahan is low in water but its agriculture has improved due to the existence of Zayanderud River. 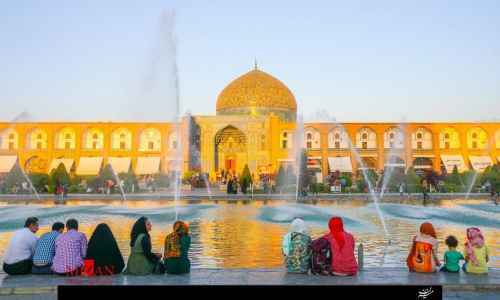 Geographically Isfahan is in the center of Iran and with its mild climate and fertile soil and enough water from Zayanderud River, it has always been a very good place to be living in. Isfahan was first called Ispahan because during the Sasanian Era a nation called Sepahian lived in the fertile plains near a city and then they formed a city and named the city after their nation. In 19 AH Isfahan was conquered by the Islamic Army without a war or any shedding of blood but by contracting a peaceful settlement this land was added to the many lands that were conquered by the Islamic army. In a three hundred era, this city was governed by different governors and in the 4th century AD, during the Ziyarid Dynasty and Buyid Dynasty it was chosen as the capital of their land. In the 5th century, during the Seljuq Dynasty, the capital of this empire became wider and started from Seyhoun River up to Eastern shores of the Mediterranean. In 789 AD Isfahan was the victim of a brutally looting and massacre by the Timurid Army. 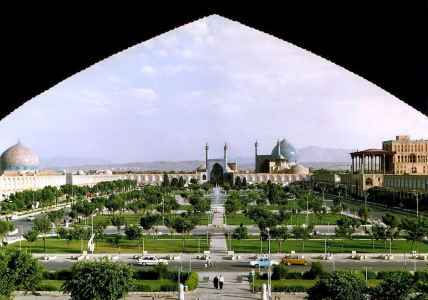 During the Safavid Era, in the 10th century, Isfahan became the center of commerce, culture and industry. In the beginning of the 11th century, 1006 AH, the capital of Shah Abbas's empire moved from Qazvin to Isfahan and this city was the capital of the Safavid dynasty for about a century and a half. That is the reason for Isfahan's fame. Isfahan has had many names throughout the centuries. The names were as follows: Apadana, Asef Han, Esbahan, Espatna, Espahan, Aspedan, Espinerm Esfahan, Espadaneh, Enzan, Besfahan, Partak, Parti, Partikan, Jee, Dar-al Yahoudi, Resgverji, Sepaneh, Shahrestan, Gaba, Gabian, Nesf-e Jahan (Half the World), Yahoudieh. Also, this city was named Sepahan in Shahnameh poetry book, written by one of the famous Persian poets named Ferdowsi. Isfahan was chosen as the first cultural capital of Islamic countries in 2005. This city has welcomed many tourists from the Islamic countries and many other visitors from different parts of the world. Isfahan is famous for its handicrafts such as etch, inlay and cashmere. If you are looking for souvenirs from Isfahan, you can buy them around Naqsh-e Jahan Square or at the old Isfahan bazaar. 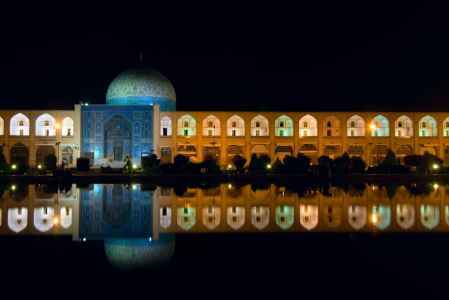 Isfahan is known as the cultural capital of Muslim world, haft of the world and the thurquoise gem of the world. Isfahan is an ancient city in the center of Iran. It is the third overpopulated city of this country. 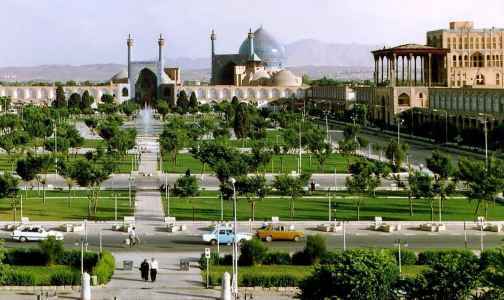 After Mashhad, Isfahan is the second touristic city, and after Tehran, it is the second industrial city of Iran. Geographically, from the west the city leads to Khomeyni city and Najafabad, from the south it is limited by mount Soffeh and Sepahan city, from the north it leads to Shahinshahr and from the east it leads to Sagzi. Isfahan is a four-season city; it has mild cool Spring and Autumn, hot Summer and cold Winter. From 1050 until 1722 B.C. especially in the sixteenth century when Isfahan was the capital of Iran for the second time, the city became affluent. Isfahan is still a glorious city. In Iranian culture, the city is known as the half of the world because of its beautiful Islamic architecture, great boulevards, roofed bridges, palaces, mosques and unique minarets. 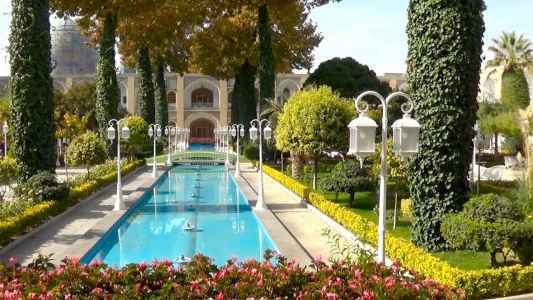 Where to stay in Isfahan? 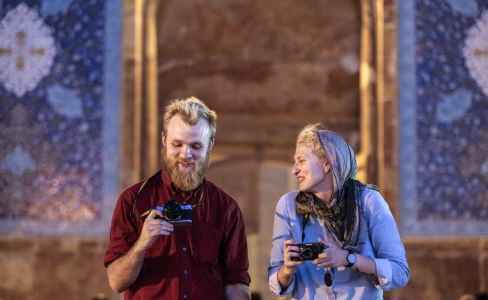 As it was mentioned earlier, Isfahan is a touristic city and it has a lot of both modern and traditional hotels with high quality and reasonable price. Abbasi, Kowsar, Piroozy and Aseman are the best high-priced hotels in Isfahan that offering the best facilities. Zohreh,Part,Setareh and Mahan are three-star hotels in Isfahan that offering good facilities with lower price. The best suitable hotel in terms of price is Azadi hotel that can be a good choice for those who prefer a low cost travel. Atigh, Isfahan and Toloo Khorshid are the best traditional hotels of the city. 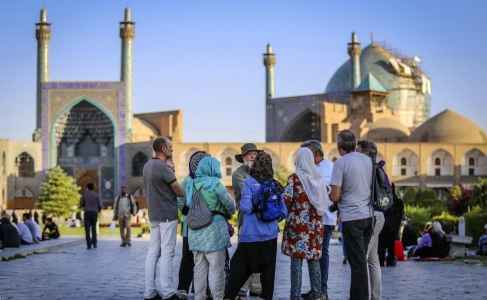 Isfahan has many other hotels such as: Espadana, Evin, Madarshah, Caravanserai, Parsiansuit,Chehel Panjareh, Partikan, Ibne Sina, Jaam Firouzeh, Negin jey, Kaveh, Yaqoot, Darvish, Hooman, Safir, Khatoon, Hasht Behesht,Sepahan, Zendehrood,Ali-Qapu, Melal and Jamshid. Isfahan like other cities of Iran has its own local foods such as Kabab, Biryani, and Khoresh-e Mast that you should try them. Ash-e Somaq,Kaleh-josh, Kaleh-gonjeshki, Baqali Zorat, Koko qandi, Gheymeh rize, Ash-e Mash and Ghomri, Yakhneh torsh, Mungbeen and Zardak, Vinegar and beetroot Omaj are other local foods of Isfahan that you can eat them in Khan Gostar restaurant in city center and Jolfa, Shahrzad and Biryani Azam restaurants. Jam Neshin, Shab Neshin,and Zagros are other nice restaurants in Isfahan that have been always welcomed by foreign tourists. If you want to experience a peaceful traditional place, we recommend you to go Khansalar and Ashti traditional restaurants of the city. Hermes and Faramarz restaurants can be good choices for those who interested in fast food. Isfahan has many other good restaurants such as: Zhik, Tarazjoje, Arakhan, Partak, Zayandehrood, Silverspoon, Veniz, Bros, Aseman, Domino, Newsha, Bastani, Patineh, Atawich, Nan Doost, Shad Beryani, Hakim, Shandiz,Zava, Dizibar, Sib and Chancho. One of the most popular local food of Isfahan is Gosh-e Fil which is eaten with local Doogh. You can try it in one of the oldest cafes of Isfahan that is called " Chahe Haj Mirza" and related to Safavid era. Don't forget to try Rahnan ice cream that won the first place in ice cream festival of Switzerland. The main Rahnan ice cream shop is located in Shahed square of Isfahan. The ice cream is famous all over the world because of the fresh milk that is used to make it. 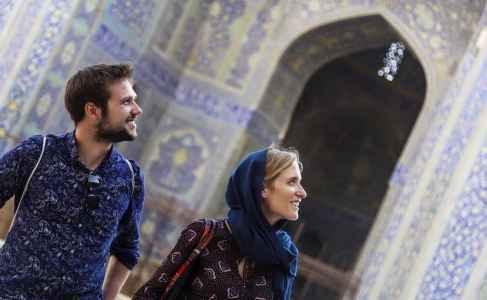 Isfahan also has many good cafes like: Fun Glas, Roozegar juice bar, Firouz Sharbat house, Radio, Time, Ahang, Toranj, Kama, Royal, Neghab, Limo, Daal, Dou, Gilas, Spadana, Kazheh, Zhino, Simon, Mozhan, Q, Jazzveh, Banu, Amordad, Moon and Blanche cafes. What do we buy from Isfahan? 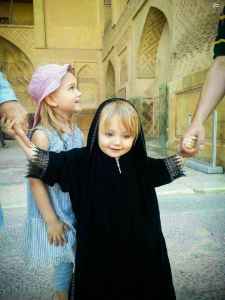 Buying souvenir from Isfahan is very desirable. Gaz is one of the traditional pastry of Isfahan that you can buy the best kind of it from Kermani Gaz shop in Abdolrazagh street. Poolaki and Rock candy are other famous pastries of Isfahan. Different kinds of calico tablecloths and dishes, curved wood and Khatam dishes are famous souvenirs of Isfahan that you can buy all kinds of them from handicraft's Bazaars in Isfahan like Qeysarie Bazaar, Grand Bazaar of Isfahan and Naqsh-e Jahan Bazaar. If you like to go modern shopping centers, Kowsar trade center, Park mall and city center of Isfahan are good choices. Isfahan is an equipped city in terms of providing therapeutic services and it has a lot of good hospitals such as: Saadi, Al-Zahra, Sina, Sadooghi, Kashani, Noor, Khorshid, Farabi, Askarieh, Feiz and Shahid Beheshti. The city also has good pharmacies like: Mazaheri, Edalat, Hilal Ahmar, Shahriari, Abbasi, Emdad, Mansoori,Jafarian, Khakpoor and Mostaghasi. Most of Isfahan's historical sites date back to the Safavid Era and they are situated near Zayanderud River. Ali Qapu, Sheikh Lotfollah Mosque, Shah (Imam) Mosque, Vank Cathedral, Menar Jonban, Chehel Sotoun (forty columns), Hasht Behesht Palace, Allahverdi Khan bridge, Four gardens, Fire temple, Takht-e Foulad Old Cemetery, Isfahan's Historical Bazaar, Naqsh-e Jahan Square, The Bird Garden, Khaju Bridge, Shahrestan Bridge, si-o-seh Pol (thirty-three Bridge) are among the attractions and historical sites in Isfahan. One of the caravanserais of the 11th century has been transferred to a beautiful and elegant guest house. Though they have kept the traditional environment of the monument, they have also added some new parts to this caravanserai. In the 11th century, during the Safavid Dynasty, around Iran and near important places, beautiful caravanserais were established which was unique and magnificent in its own kind. The museum of decorative arts is located in the historical Rakib Khaneh building. This building was built in the 11century AH, during the reign of Shah Abbas I. The purpose of this building was for keeping the horse riding equipment for the royal horses. During the Qajar Dynasty, Zell al-Sultan the governor of Isfahan, lived in this building. Hakim Mosque is one of the most exquisite mosques in Iran. It has four porches and was built between the years 1051 AH and 1073 AH during the reign of Shah Safi and Shah Abbas II. Fire Temple (Atashgah) Mountain is 7 kilometers west of Isfahan city, and Menar Jonban is in the same path as well. This mountain is about 1680 meters in height which is counted from the surface of the sea. In the 11th century a group of Armenians, residing in in the current Armenia moved to Isfahan and stayed in a village, South West of Isfahan. They named this village Jolfa. Safavid kings ordered for religious freedom in that village in order to protect the minority of Armenians. When Isfahan was elected as the capital of Safavid Empire, the city expanded through the South. The important urbanism area of that time was Chaharbagh (Four Gardens) Street which started from Dowlat Gate toward the South and was about six kilometers long. On the East side of Zayanderud River and Khaju Bridge there are monuments that date back to the Safavid Era and the reign of Shah Abbas II in 1060 AH. This bridge was a multipurpose bridge. Jameh Mosque is located at the North West side of the old square. The initial mosque was located near Yavan, which is an old village and the mosque was probably constructed over a monument built before Islam. Another mosque is located on the Eastern side of Imam (Naqsh-e Jahan) Square. 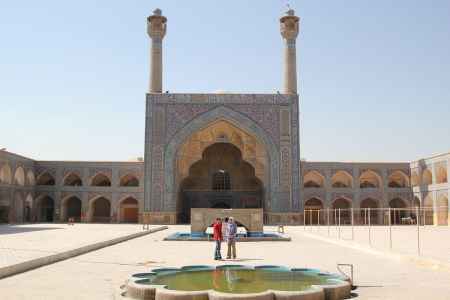 This mosque was built during the reign of Shah Abbas I, a king of Safavid Dynasty. At the same time the square and buildings around it were constructed. In the Southern side of Imam/Naqsh-e Jahan Square, Imam Mosque is situated which is one of the most beautiful mosques of the Islamic Era. 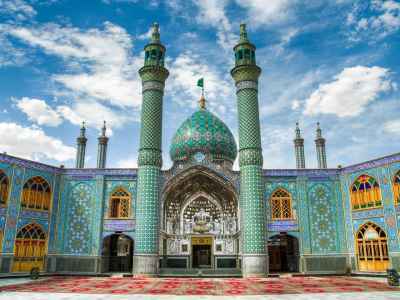 This mosque was built by the order of Shah Abbas I and was constructed by Ali Akbar Esfahani. Ali Qapu Mansion is a six storey high mansion built in the 11th century AH. Each floor has its individual design and art. The interesting parts of this mansion are the porch on the third floor, the copper pool and the reception hall designed with the most beautiful paintings and moldings.